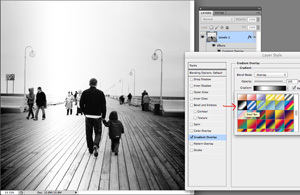 Gradients are a quick way to add multiple colors to a photo, embellishment, paper – or just about anything! 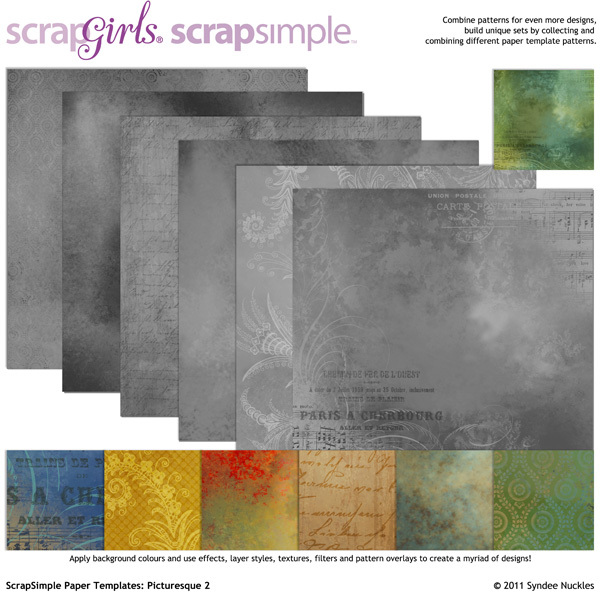 Today, I am going to show you how to use Photoshop gradients to color a ScrapSimple Paper Template, some ScrapSimple Embellishment Templates, and a photo using Photoshop. 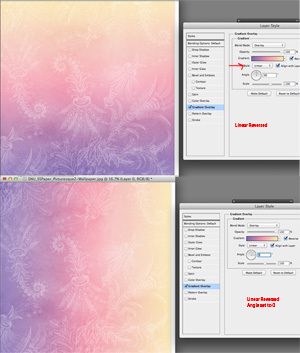 Please note: If you are a Photoshop Elements user, this tutorial will show you how to use gradients to color in PSE! Let’s start with a paper template. 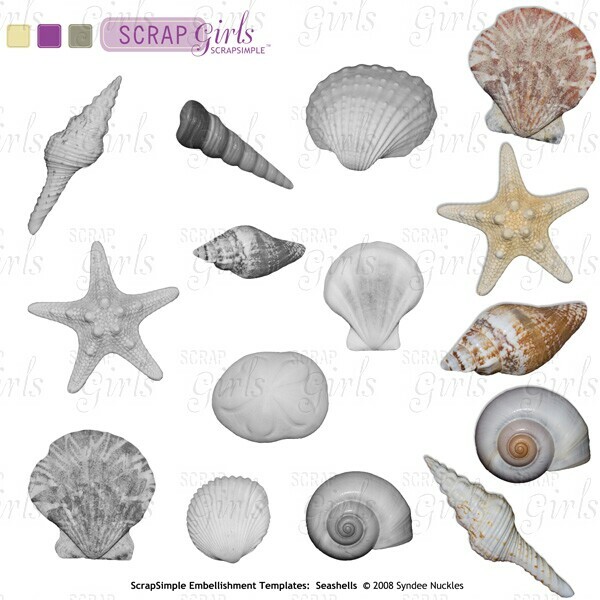 I have used a paper from ScrapSimple Paper Templates: Picturesque 2. 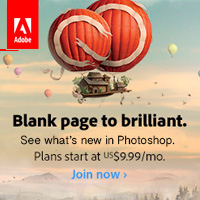 Open up your template and make a duplicate copy, then close the original. 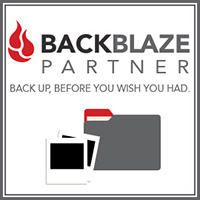 This is a good practice anytime you use any kind of template; it keeps your original intact. 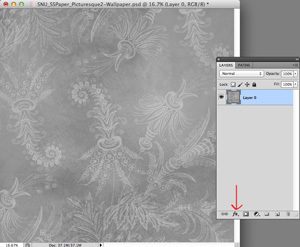 Click on the fx (layer style) icon at the bottom of your Layers Palette. This will open up the Layer Style menu. 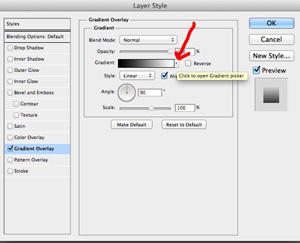 After the Gradient dialog box opens up, click on the little arrow to the right of the Gradient box and choose a gradient. 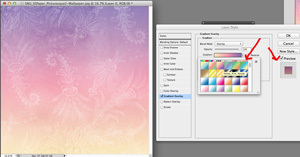 Make sure the Preview box to the right is checked so that you can see the effect on your paper template as you select different-colored gradients. Look what happens when you click one of the gradients! Pretty cool, huh?! There are several different gradient styles that you can choose from: Linear, Radial, Angle, Reflected and Diamond. I mostly stick with the Linear, Radial, and Reflected. Below you will see examples of Reflected and Radial. 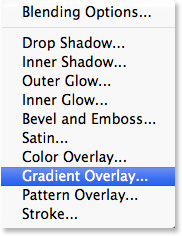 There is also a box to the right called Reverse, which reverses the direction of the gradient blend. The first paper is an example of the Linear gradient style. And the second paper is an example of playing with the Angle setting; the default Angle is 90 degrees, and I have set this to 0. Let’s apply a gradient to a photo! This is fun, and it’s cool to see the different effects that you can come up with. 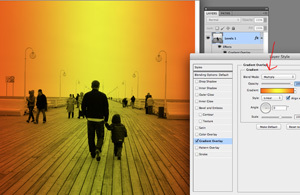 With this photo, I just added the Steel Bar gradient at a 0-degree angle with a Blending Mode: Overlay. For the final sample, I added a bright orange and yellow gradient and set the Blending Mode to “Multiply” again. 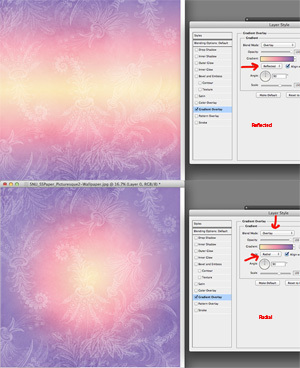 Make sure to play with the Blending Modes when adding gradients. 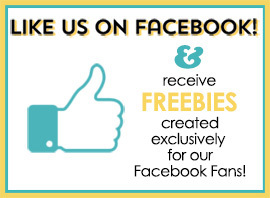 You will be amazed at all the different looks you come up with! 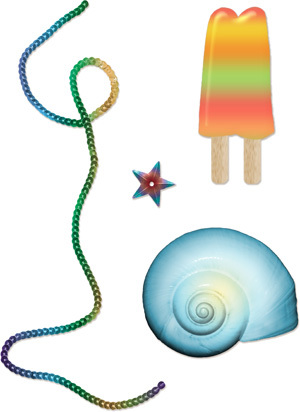 I hope you have fun playing with these techniques and discovering all that you can do when you use gradients to color your elements! Until next time, Happy Gradients!